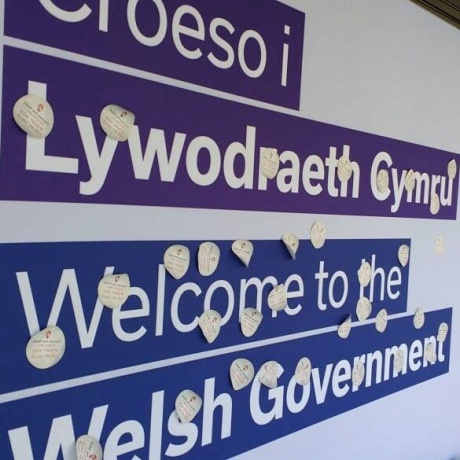 An official complaint has been a lodged against a Minister for making misleading statements to Assembly Members claiming support for plans to alter Welsh language legislation, ahead of an expected announcement today (Tuesday, 5th June). The news comes after campaigners released a letter in which the Minister appeared to admit statistics published about responses to a consultation were incorrect, but yet was not willing to publish a correction. Language campaigners Cymdeithas yr Iaith say a clear majority of respondents to the consultation opposed Government plans to abolish the Welsh Language Commissioner, restrict people's ability to complain and weaken enforcement powers. That framework would be more similar to the old 1993 Language Act. In a written statement in January this year, Minister Eluned Morgan claimed that “our proposals were supported by those who responded to the consultation” – although only 77 of the 504 responses supported their proposal to abolish the Welsh Language Commissioner. Since that statement, a civil servant review has admitted there were 'grounds to the complaint' from campaigners that the Government hadn't accurately reported the results of the consultation. That internal review came to the conclusion that Government guidelines had to be changed. But despite those admissions, in a recent letter the Minister refused to correct the documents and statements saying that "the only thing that would change in future as the internal guidelines for Government officials are changed, would be to publish the statistical numbers in the individual analyses of every question ... Our further consideration of the policy issues will not change as a result of this complaint." The campaign group has now made an official complaint to the Public Services Ombudsman and the First Minister about the behaviour claiming it is 'misleading, unreasonable and disrepectful to the consultation process'. "The Minister has mislead the Senedd in her statement. And, although she accepts that the statement was false, she refuses to correct it. The Government's treating the consultation process with complete contempt: they're guilty of misleading statements and maladministration. They're attempting to hide the obvious truth that the people of Wales don't want the weaker language act they are trying to push through. "It's a laughable situation. The Government has no mandate to weaken the Language Act. Only 15% of those who responded to their consultation backed these ill-considered proposals, and there was no mention of weakening the law in Labour's manifesto either. "Who would think that Labour would embrace an old Tory system from a quarter of a century ago? It would be far better for officers to concentrate on other work, including extending the Standards to more bodies and companies, rather than wasting time on this white paper, which would turn the clock back to the 1993 Act which failed to protect Welsh speakers rights."